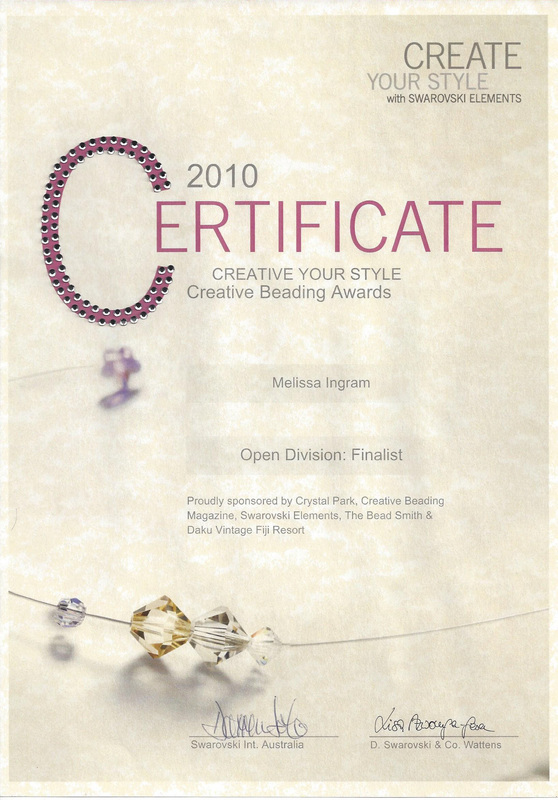 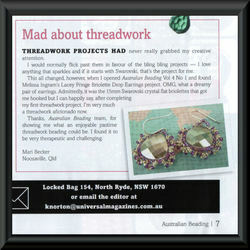 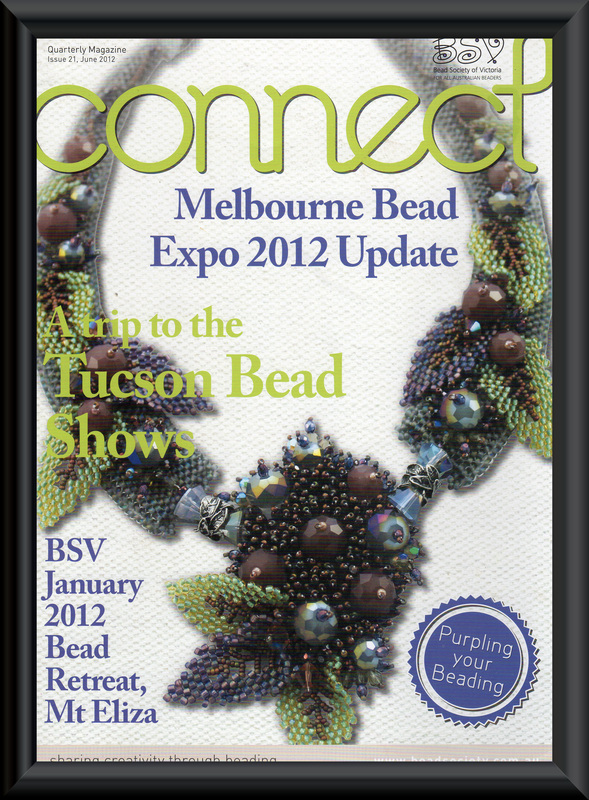 My beadwork, soutache embroidery or polymer clay work have appeared in all of these publications. 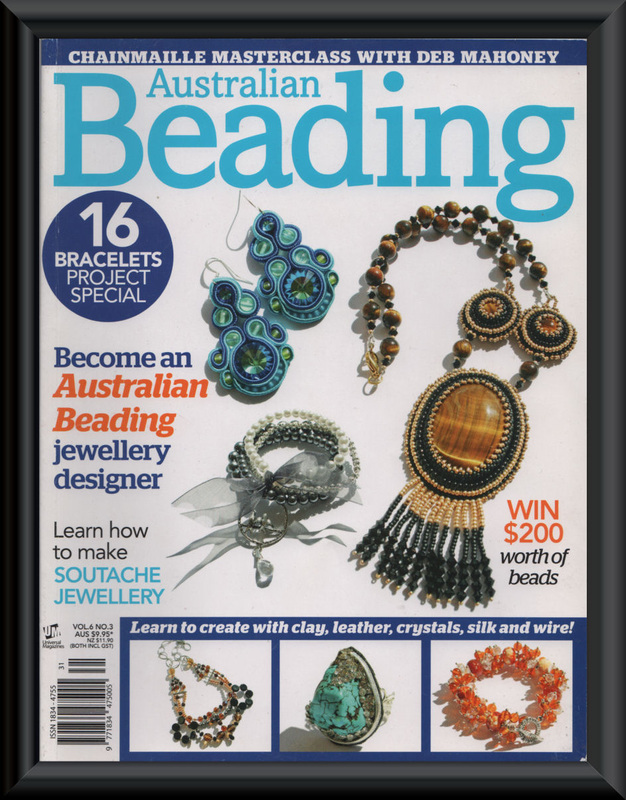 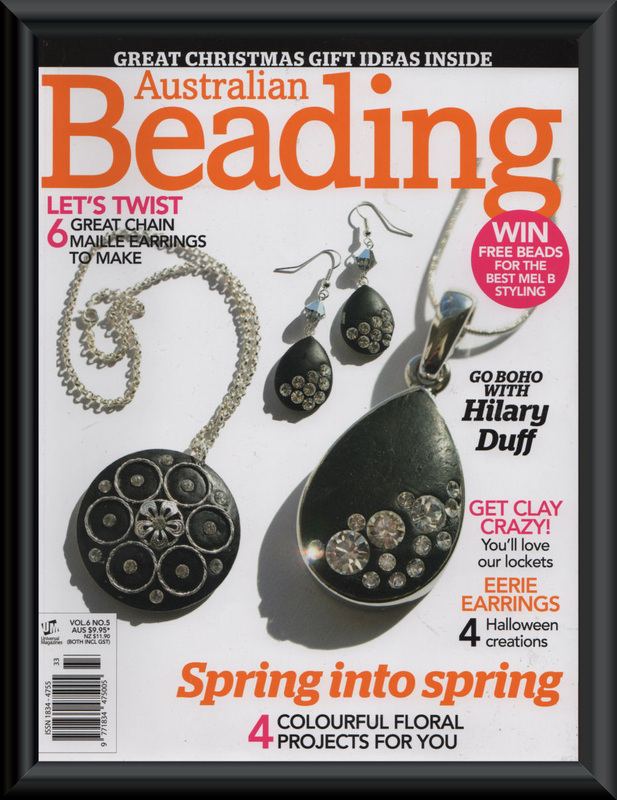 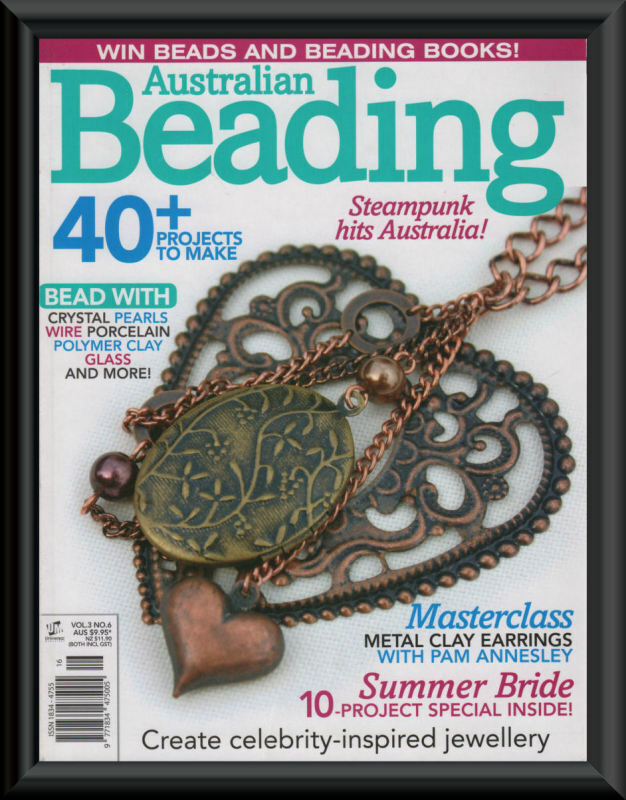 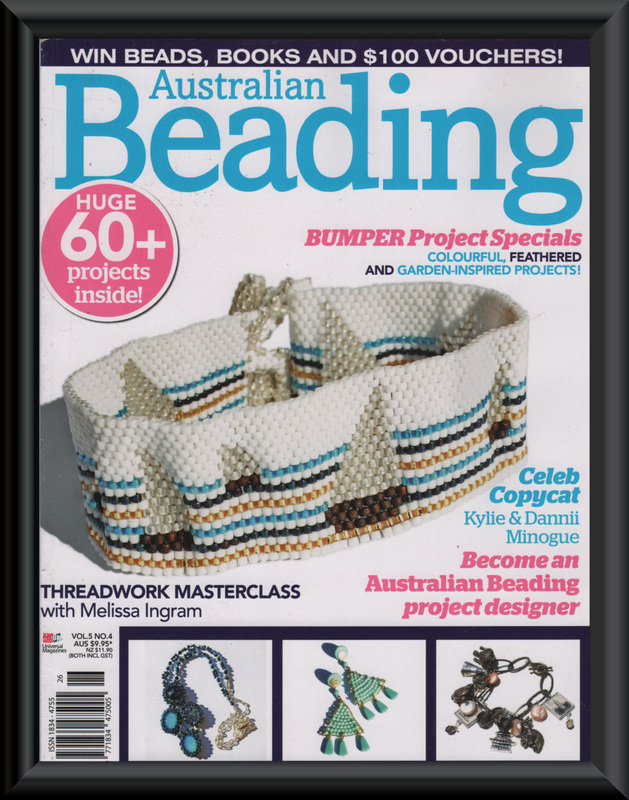 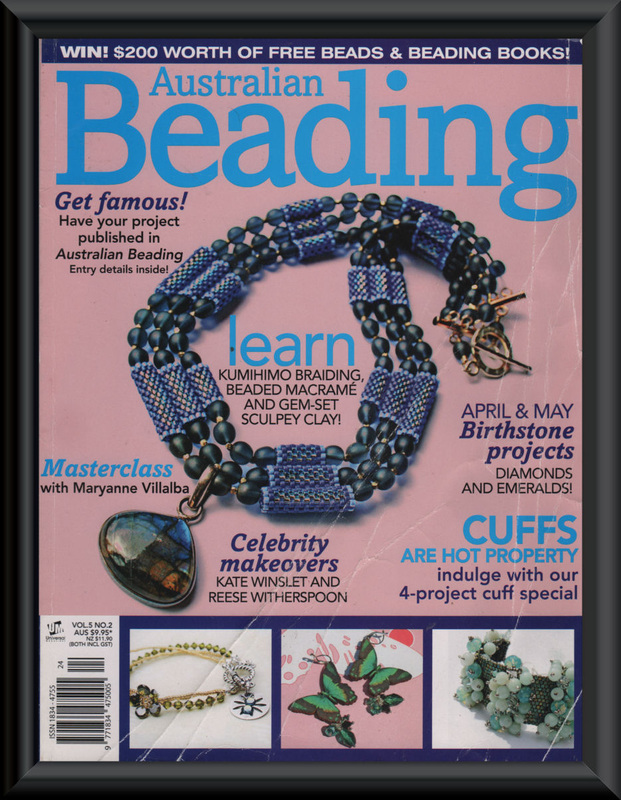 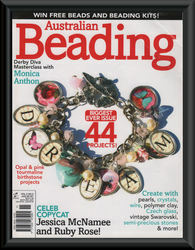 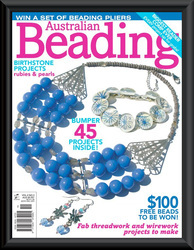 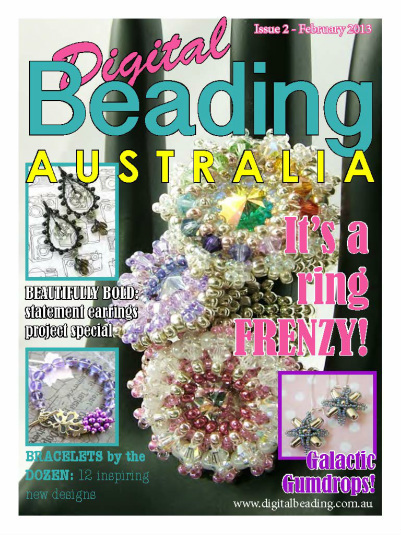 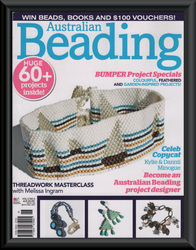 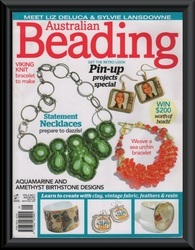 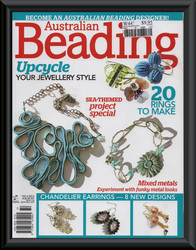 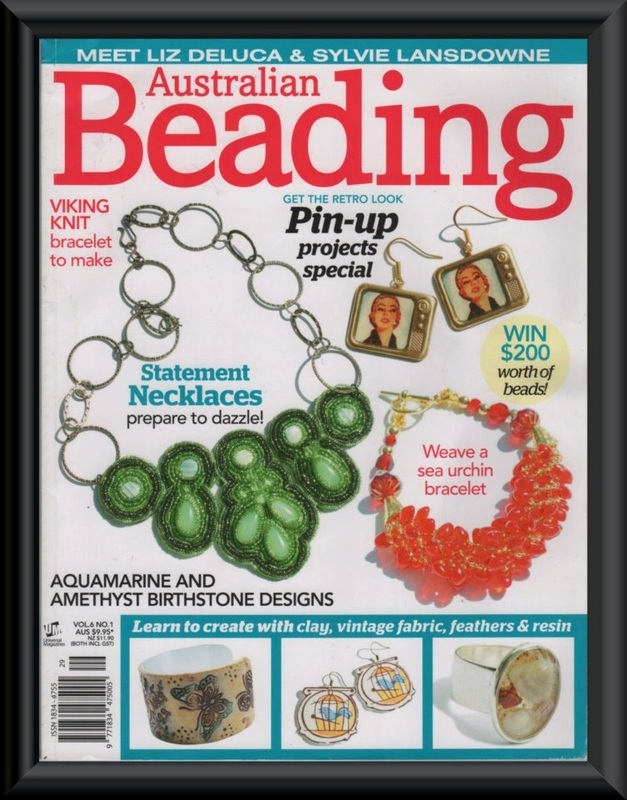 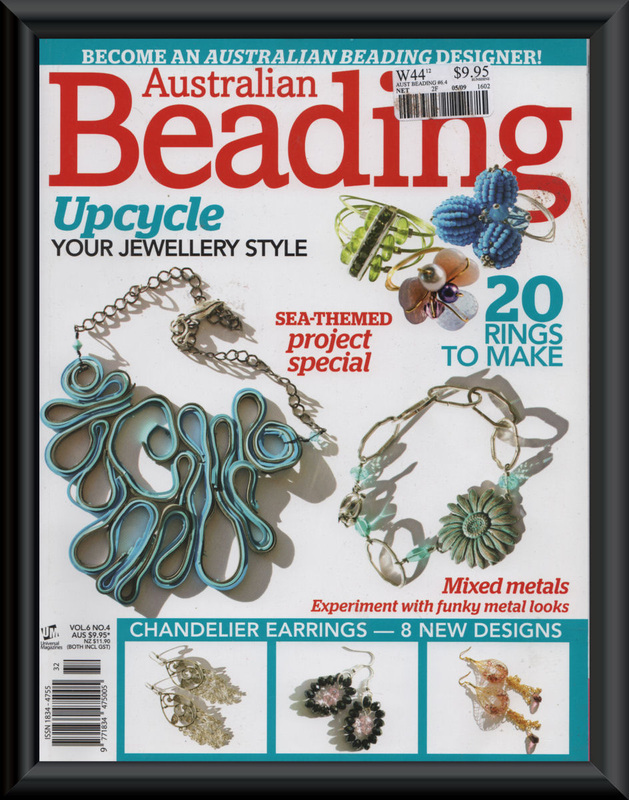 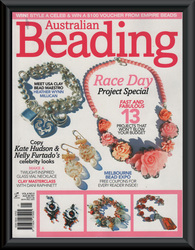 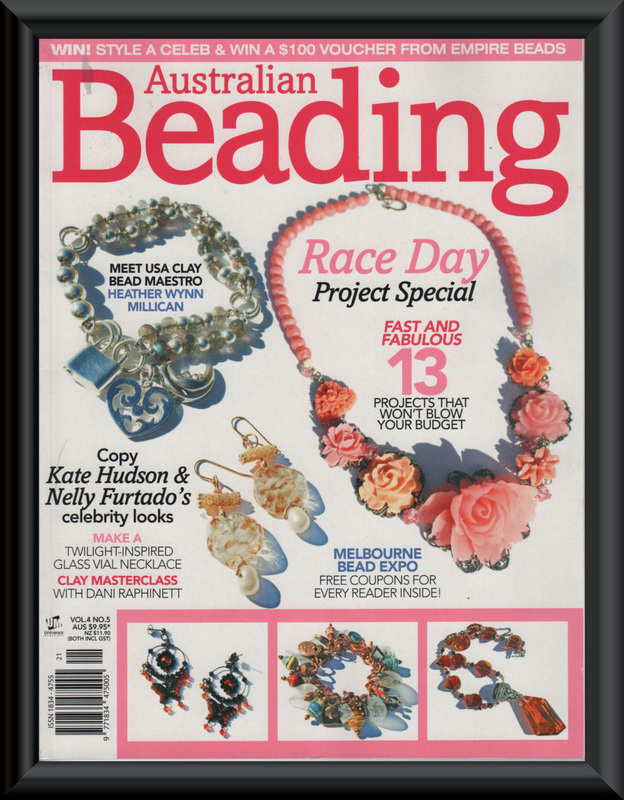 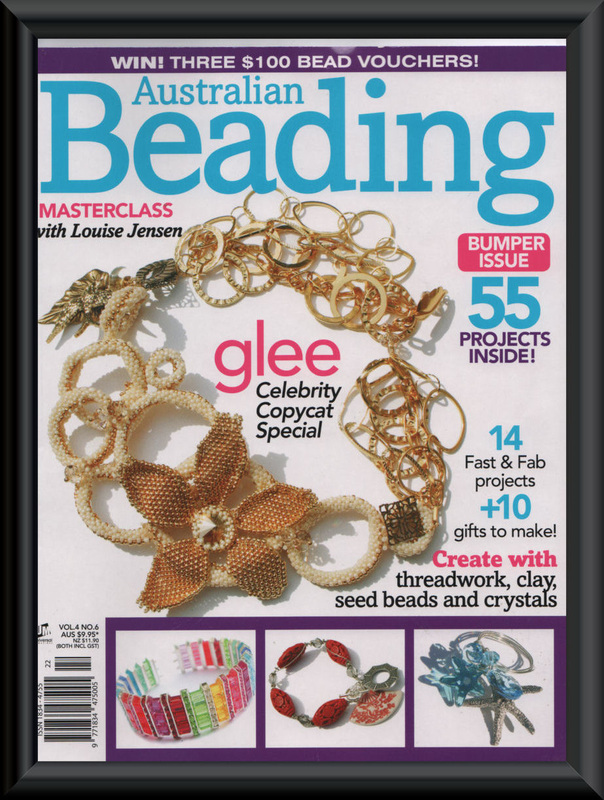 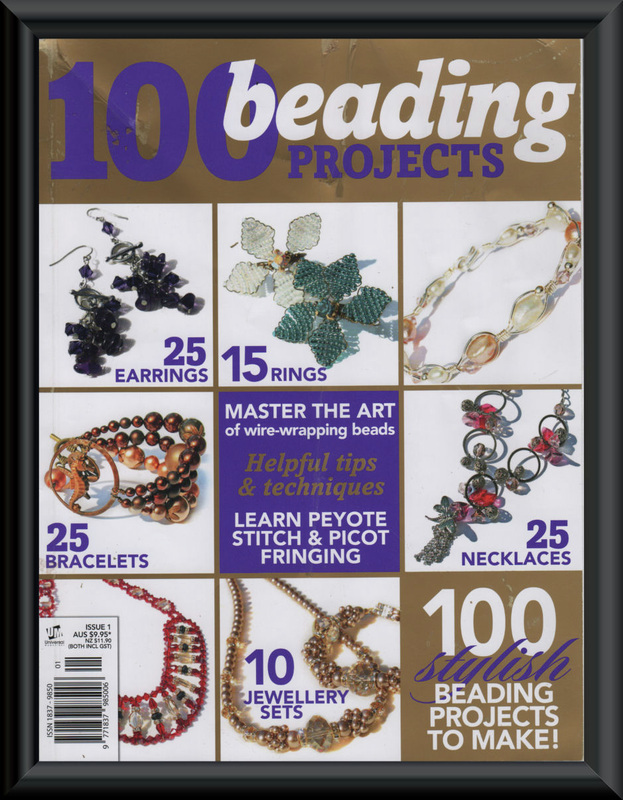 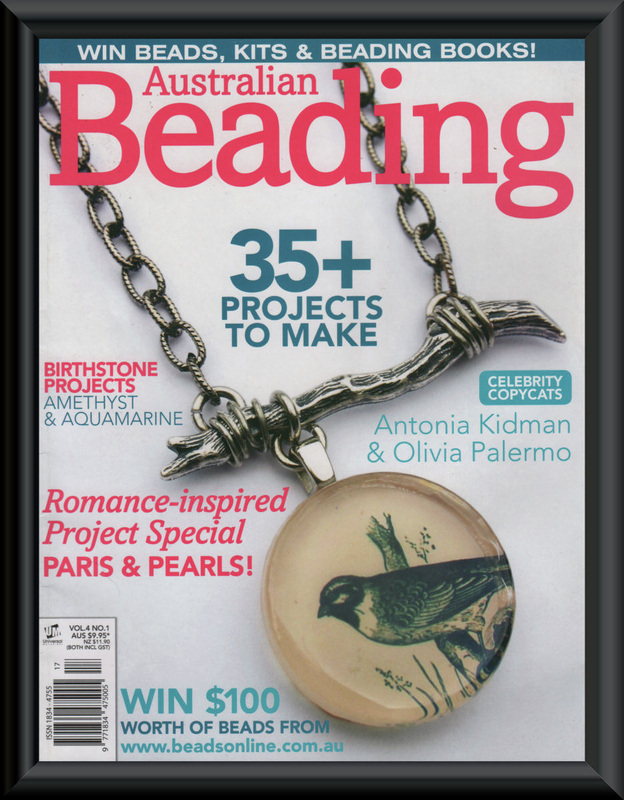 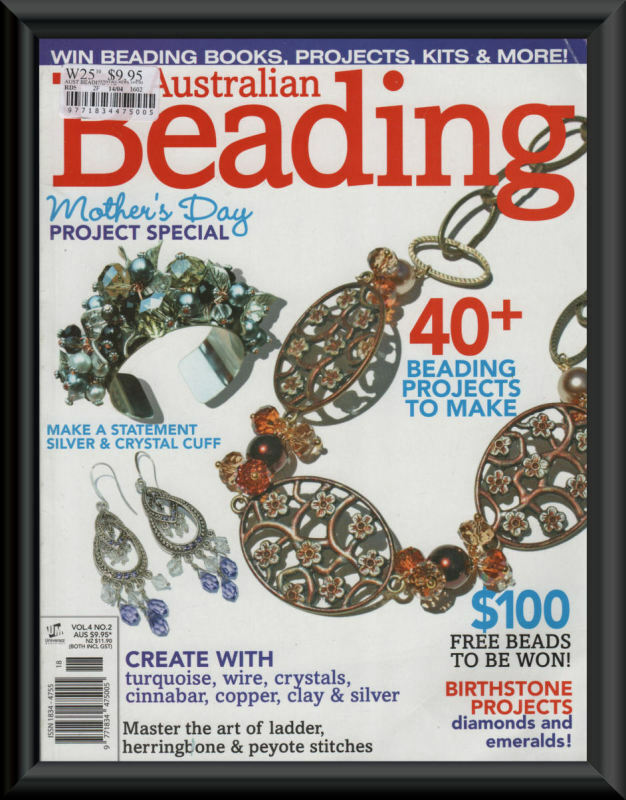 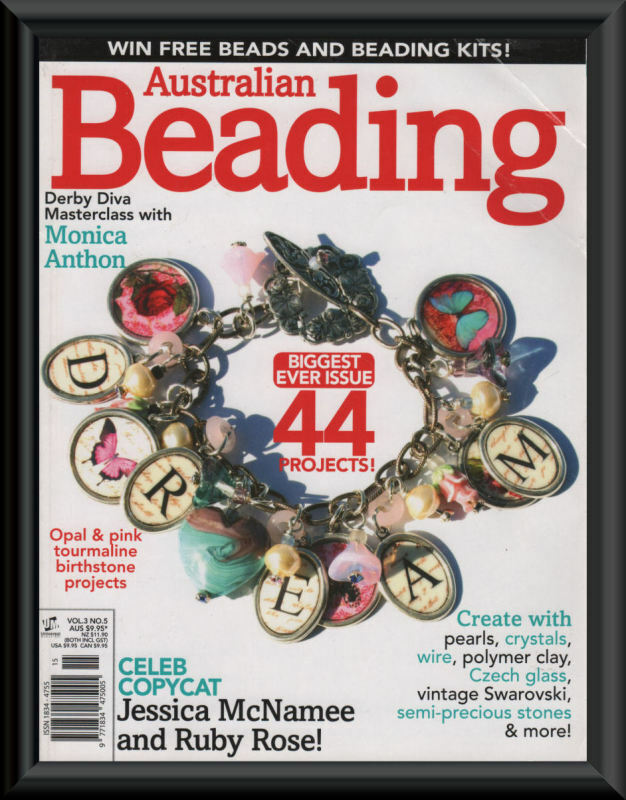 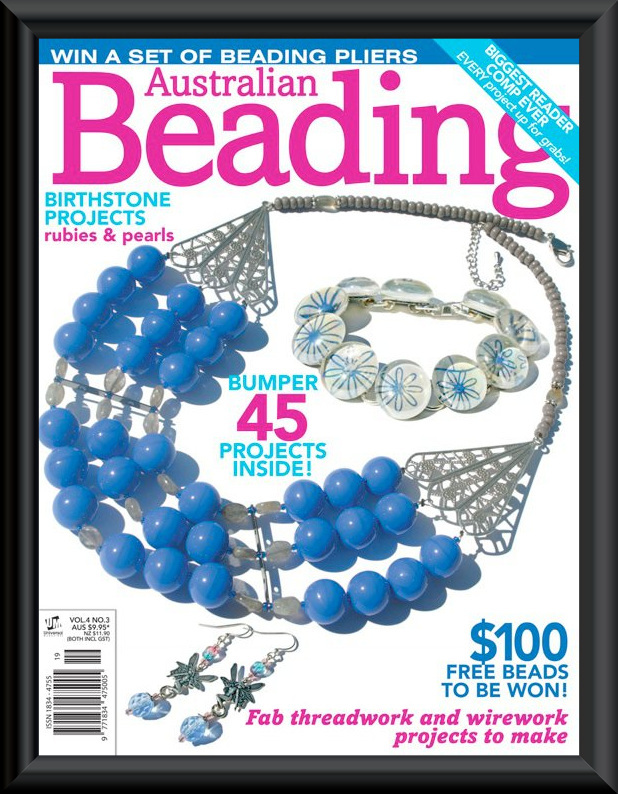 Australian Beading is a bi-monthly magazine, published by Universal Magazines and is the largest beading publication of its kind in Australia. 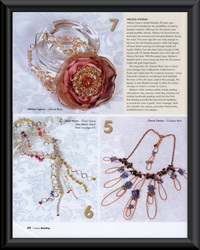 My work featured in all of these magazines. 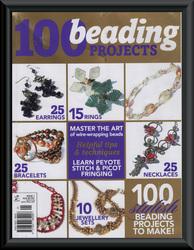 I have been a regular contributor of project tutorials and articles for this magazine since April 2008. 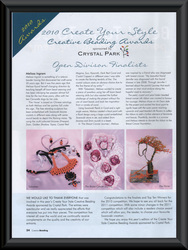 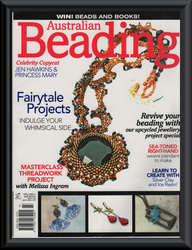 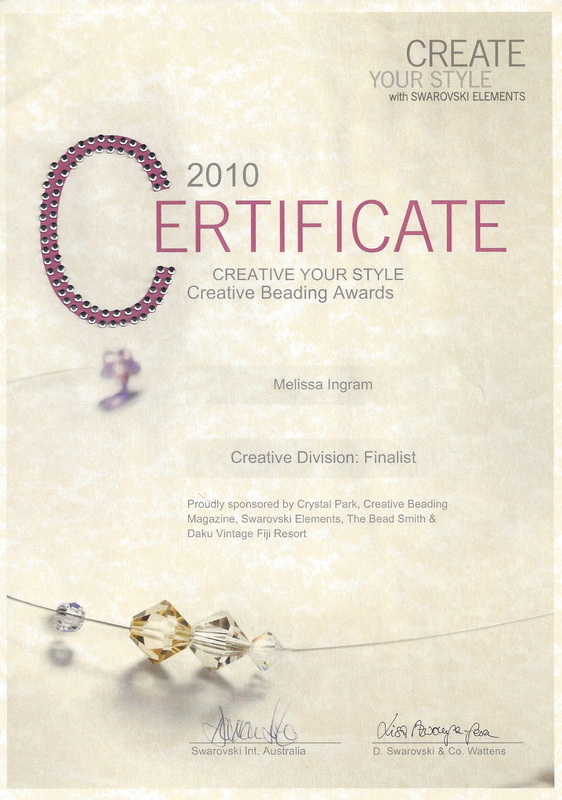 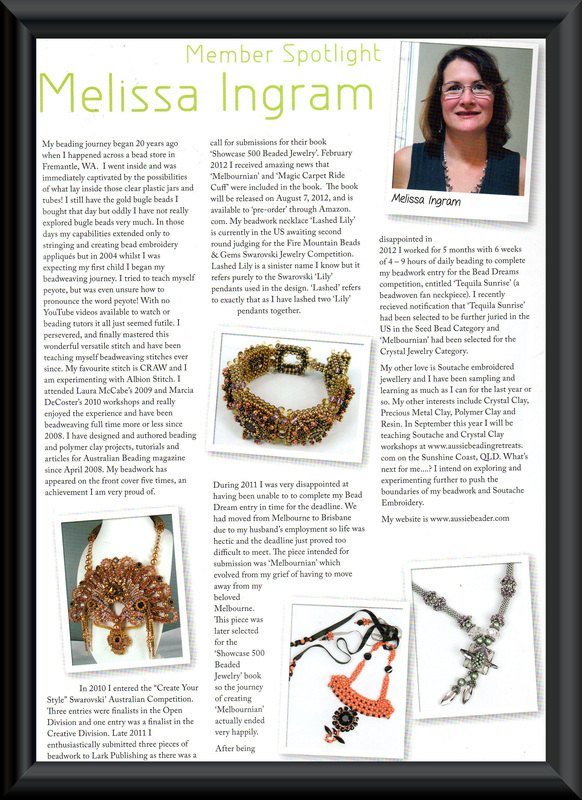 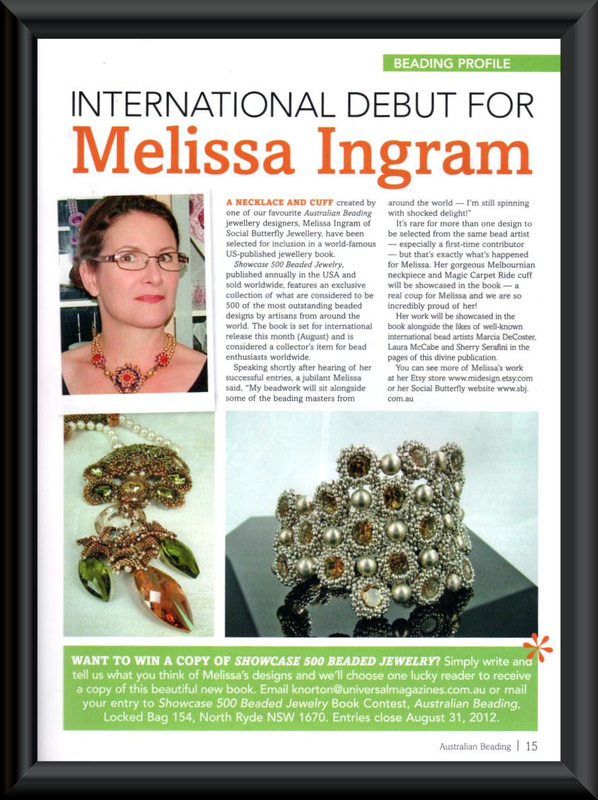 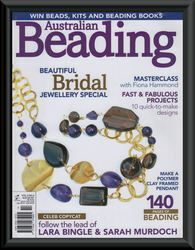 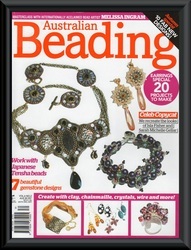 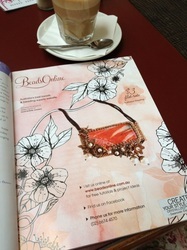 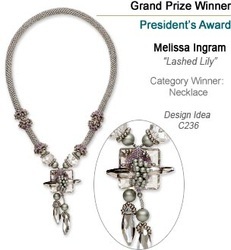 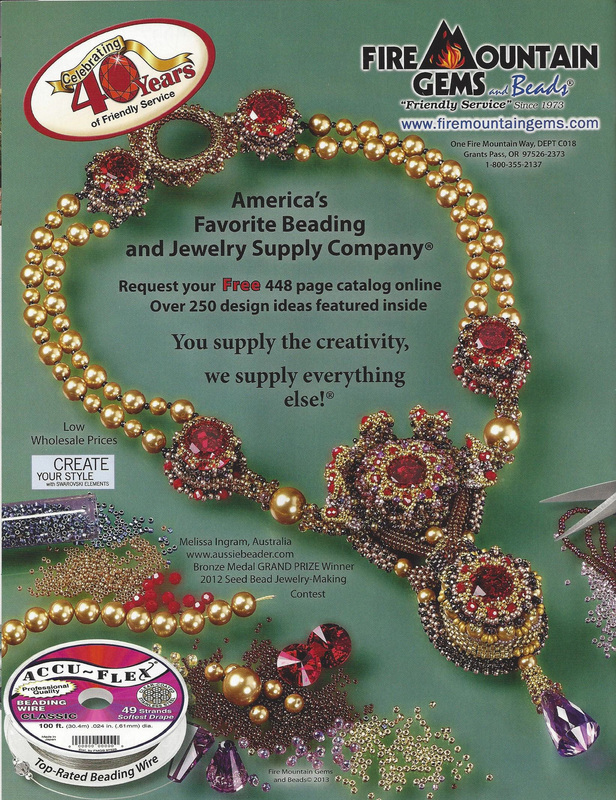 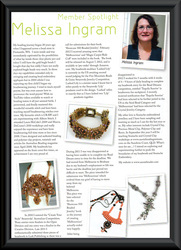 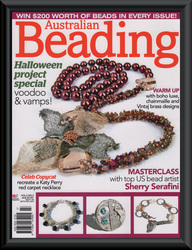 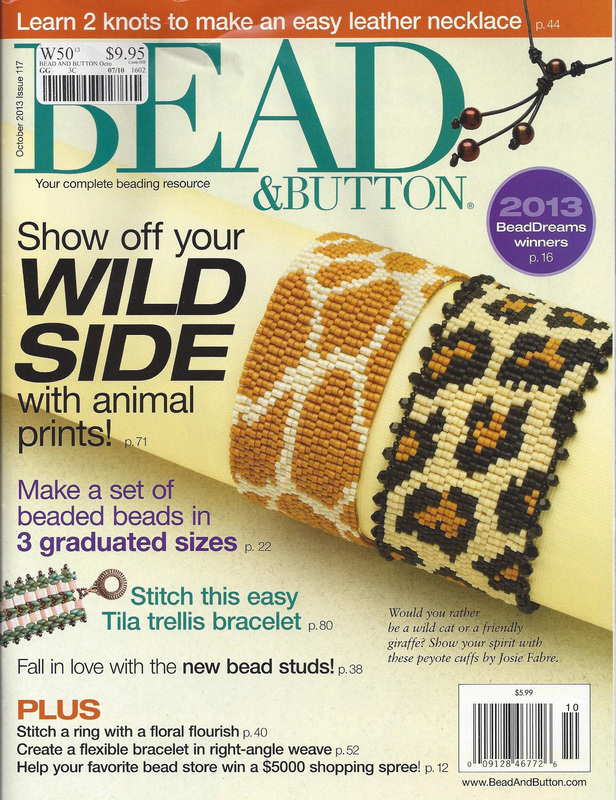 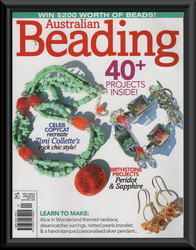 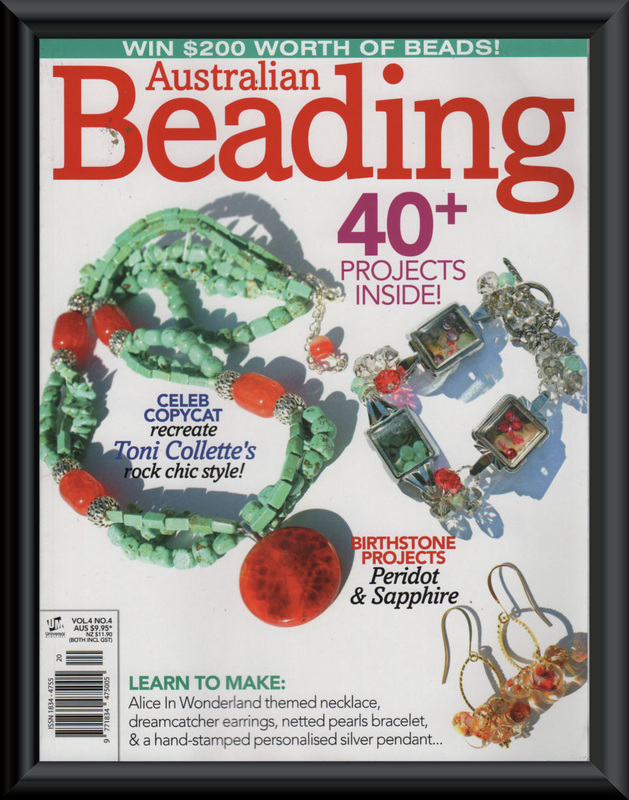 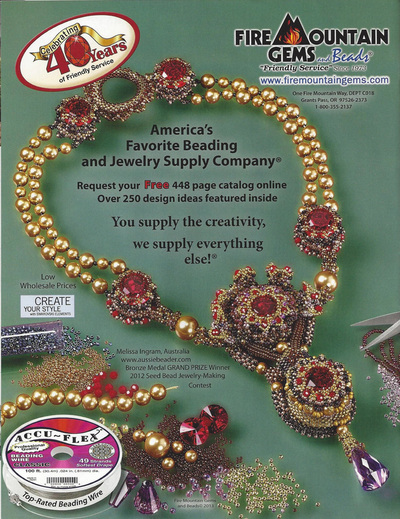 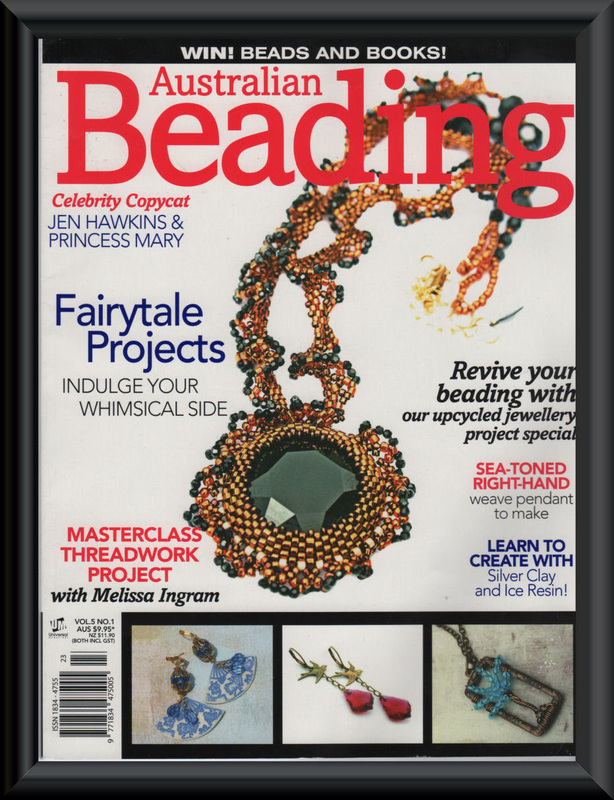 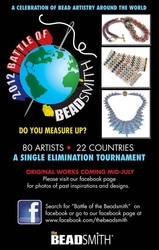 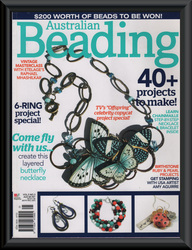 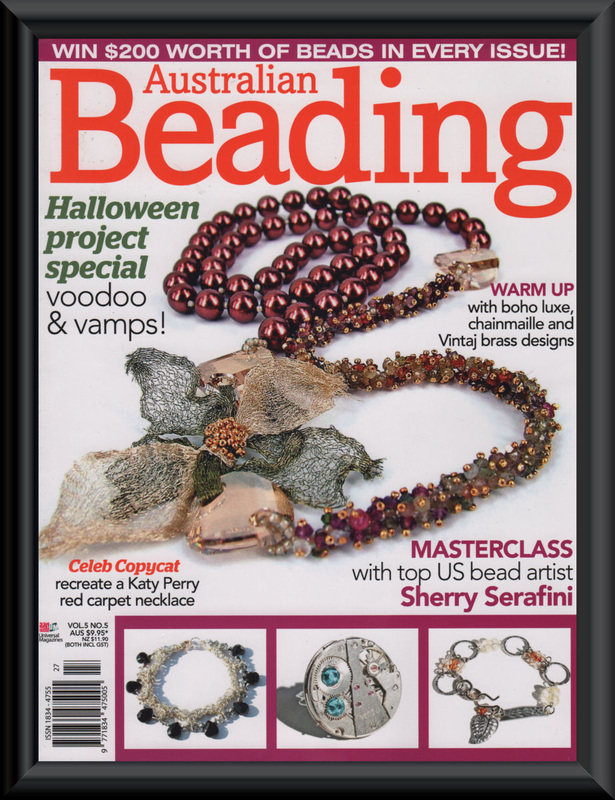 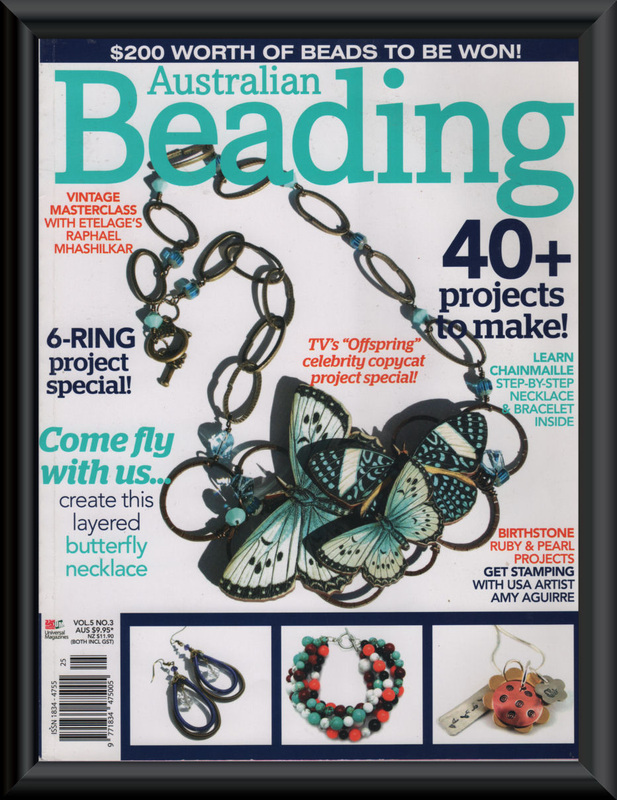 I have now joined the Design Team with Digital Beading Magazine from October 2012. 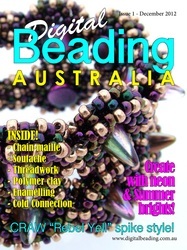 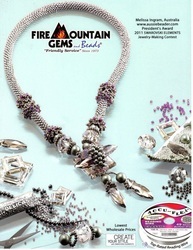 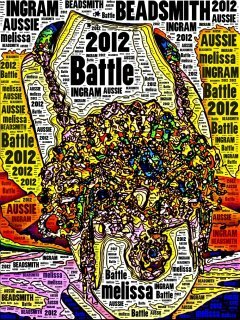 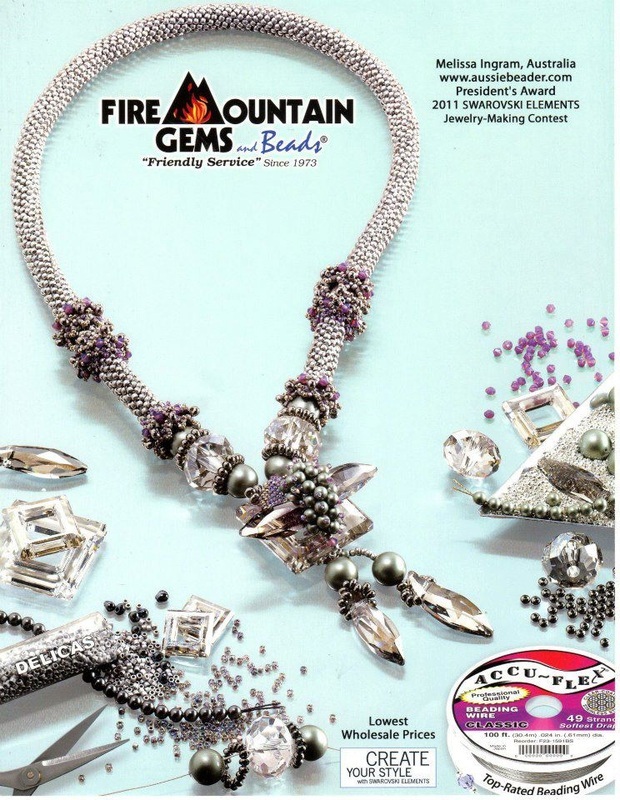 The launch issue of 'Digital Beading Magazine' hit the virtual shelves in early December 2012. 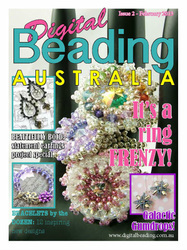 My design 'Rebel Yell' cuff featured on the launch issue and my Swarovski beaded ring design featured on the second issue! 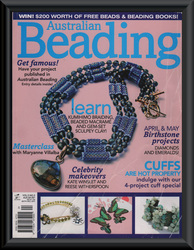 Click on the magazine, magazine article, certificate or book covers for more information.